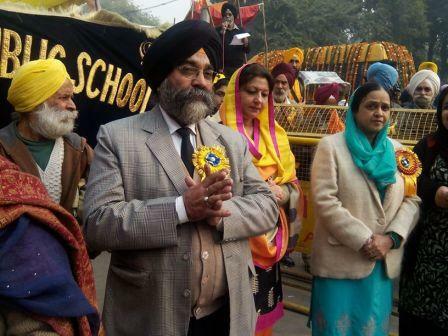 Delhi Vidhan Sabha organised an exhibition on the life and teachings of Shri Guru Nanak Dev ji at Delhi Vidhan Sabha lawns, old Secretariat. 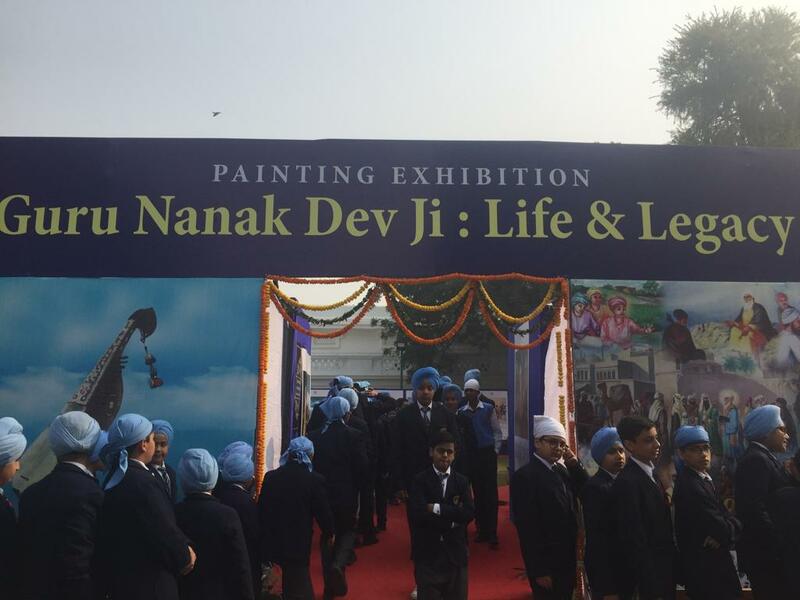 Students of classes 7 and 8 visited the painting exhibition titled Guru Nanak Dev Ji : 'life and Legacy' and learnt about the teachings of Guru Nanak Dev Ji. 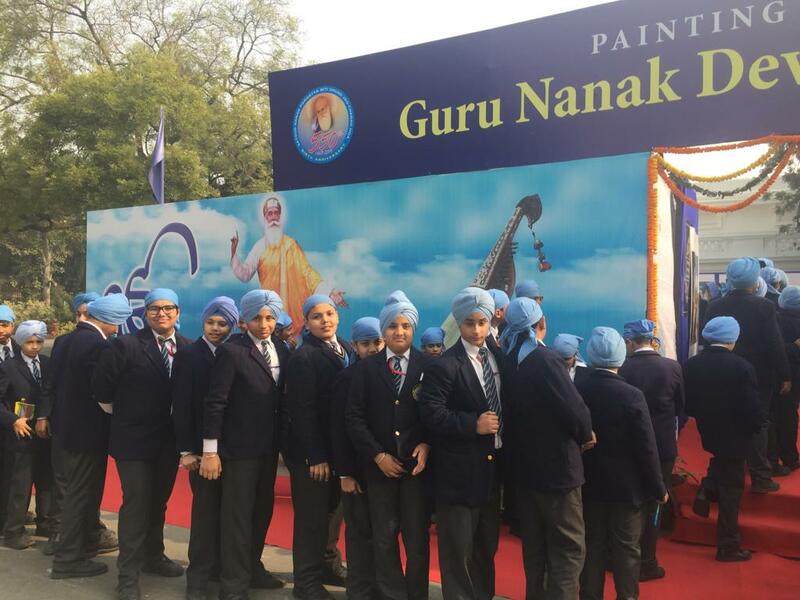 Beautiful paintings depicting the life and journey of Guru Nanak Dev Ji and his wish to instill values of compassion and contentment in the conscious minds of the country men. 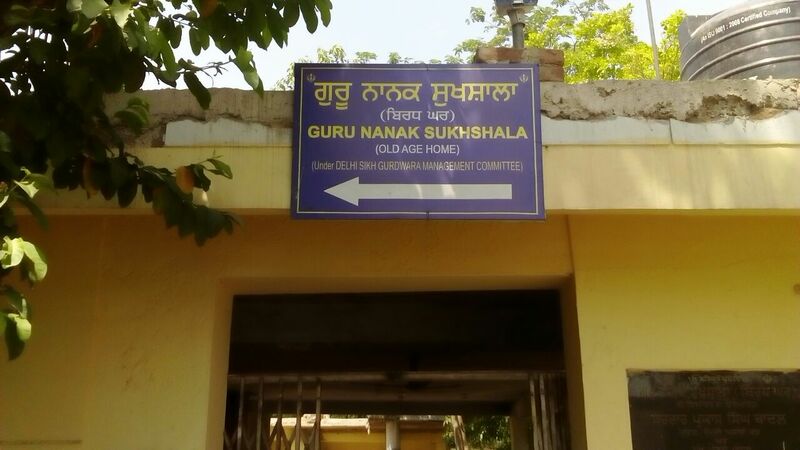 Basic teachings of Guru Nanak Dev Ji- triple principle of meditation, work and social responsibility were vividly showcased. 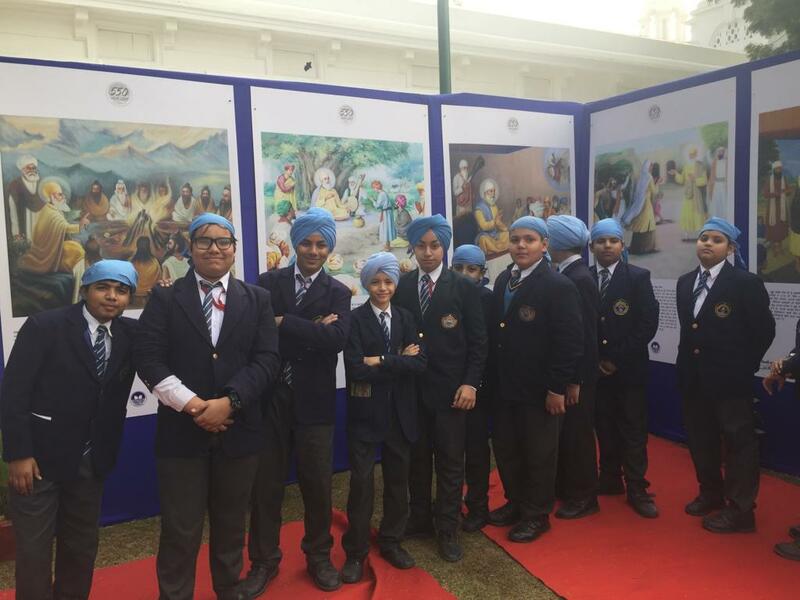 Visit to the exhibition was a unique experience for the students to learn about foundation of Sikh thoughts, ethics and way of life. 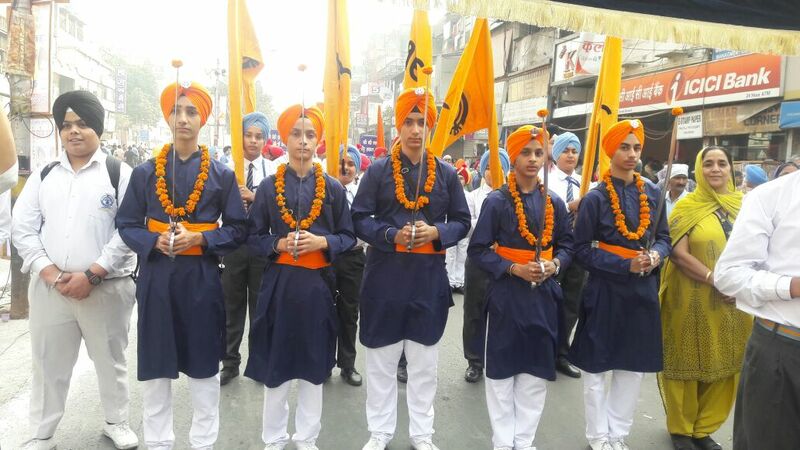 An impressive Nagar Kirtan, under the aegis of the Delhi Sikh Gurudwara Management Committee, was organized to mark the 548 birth anniversary of the first Guru of Sikhs, Shri Guru Nanak Dev Ji on Saturday ,12 November 2016 . 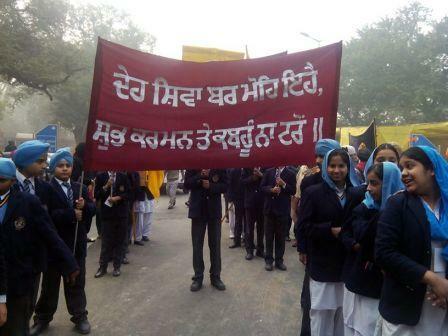 The students carried placards in the Nagar Kirtan creating an awareness on the epilogue uttered by Guru Nanak Dev Ji _ Pavan Guru Paani Pita, Mata Dharat Mahat. 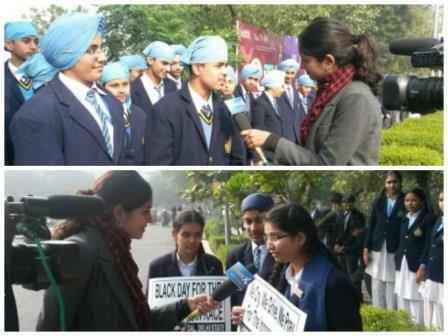 A signature campaign was carried out by the students of the school which was signed by thousands of spectators. 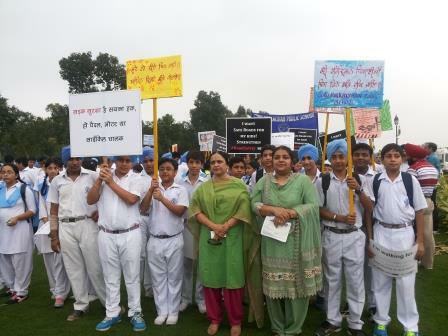 They appealed to the general public to gift a safe and healthy environment to them and refrain from bursting crackers. 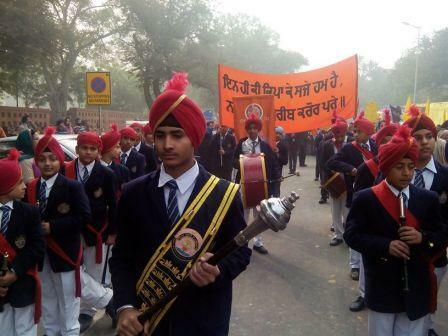 A huge flex suggesting alternative methods of celebrating festivals and happy occasions _ by planting trees, helping the needy, sponsoring a child,s education, pledging to donate organs _ was the center of attraction and drew accolades from the spectators. 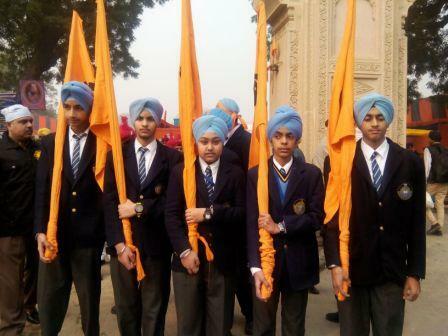 It truly was a NAGAR KIRTAN with a difference. 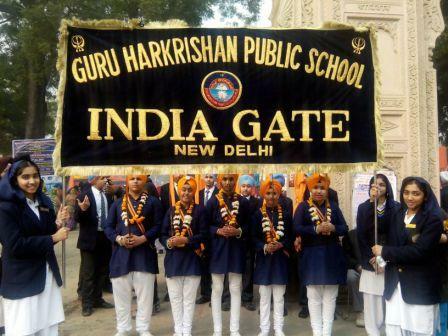 The students of Guru Harkrishan Public School, India Gate celebration the Prakash Utsav of the founder Guru with a difference. 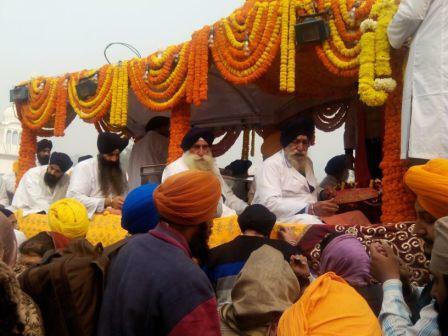 Bala Pritam Guru Harkrishan Sahib Ji a symbol of charity, patience and love for all, left for heavenly abode at a tender age of under 8 years removing the ailments of the people of Delhi. 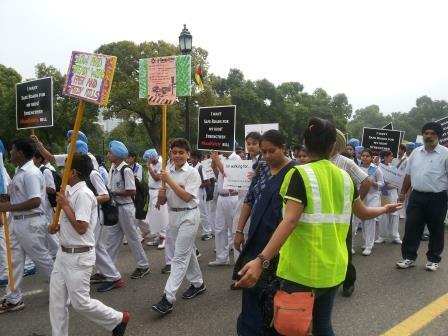 GHPSians taking light from the life of Guru Harkrishan Sahib ji joined hands with COLORS(Coalition for Road Safety ) on His Prakash Utsav trying to bring peace to the society by participating in a peaceful walk to sensitise the society in general about the need for safer roads. 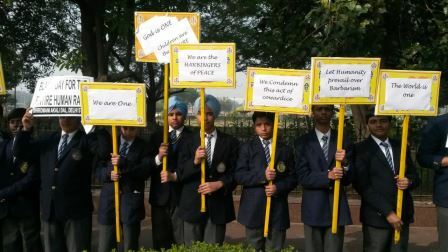 The students carried emotional placards echoing the need of the children for their families to be safe. 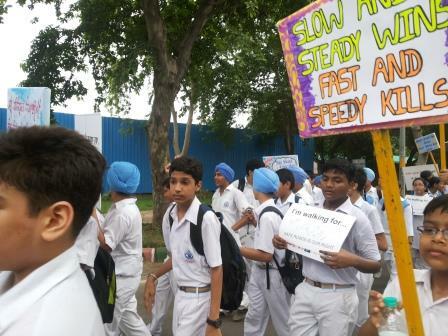 This Walkathon is in the wake of an increasing number of accidents caused due to negligent reckless driving and disregard for traffic rules. 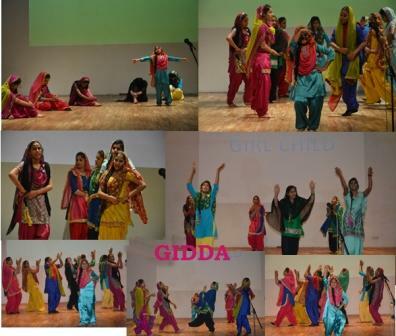 Celebrating its Golden Jubilee, the school proposes to carry out social outreach programmes around the year. 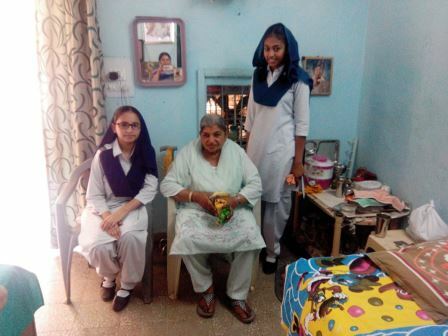 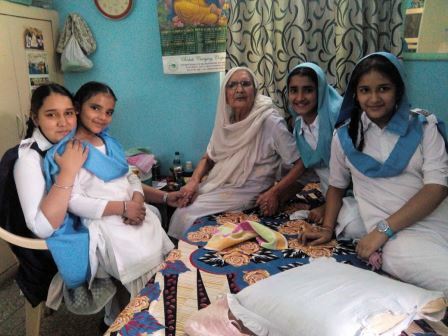 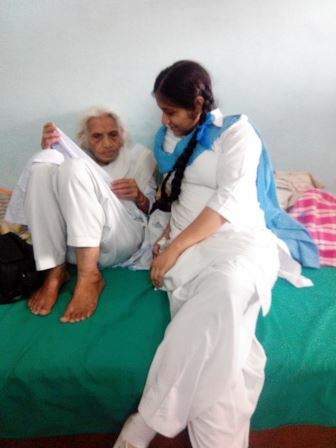 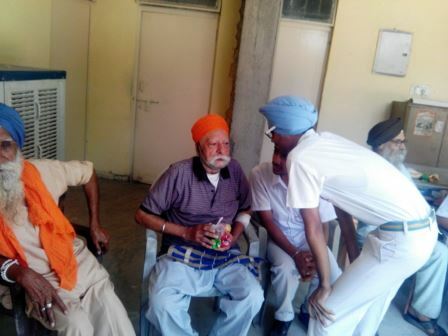 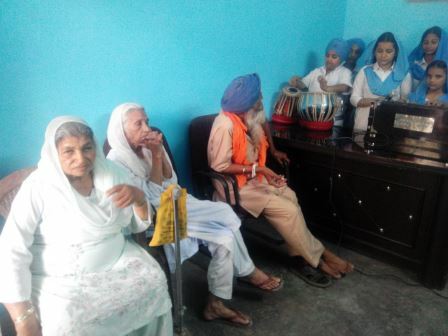 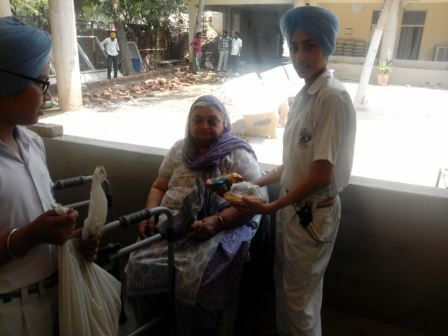 On 4 May,2015 Twenty seven students and two teachers of Guru Harkrishan Public School (India Gate) visited Guru Nanak Sukhshala Old Age Home under the aegis of Delhi Sikh Gurdwara Management Committee .These students of the Community Service Club celebrated the Prakash Utsav of 3rd Guru of Sikhs-Guru Amardas ji with the elderly. 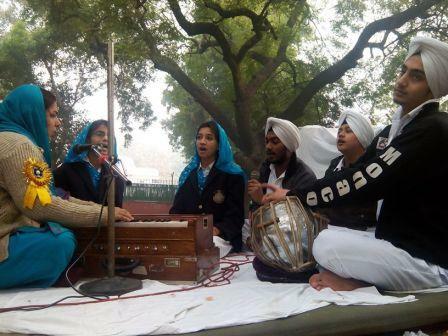 The small programme commenced with Shabad recital by the school choir. 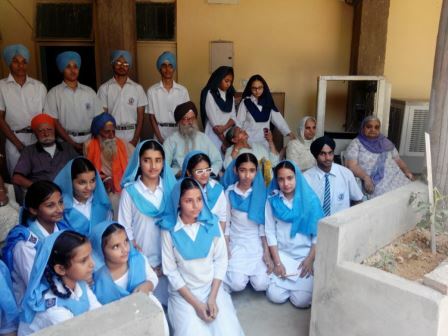 Ramandeep Kaur of class 12th shared her views about the early life and teachings of the 3rd Guru. 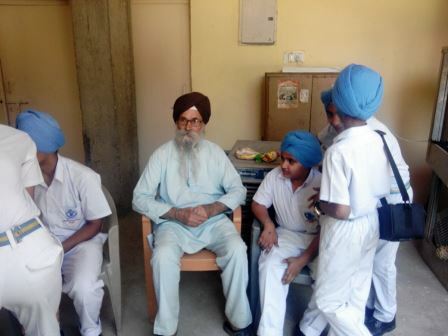 The students had a warm and emotional conversation with the grandparents. 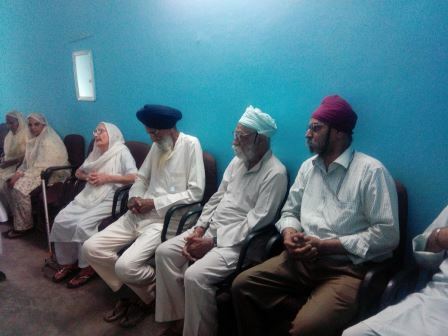 They also presented small gifts to the dear ones, seeked their blessings and vowed to visit them regularly. 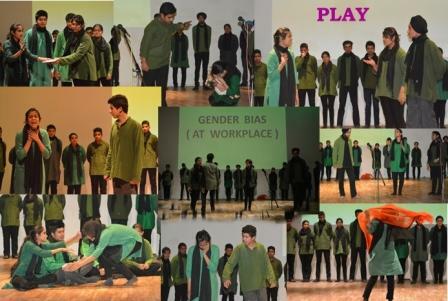 It was a communicative, informative and an emotional experience indeed ! 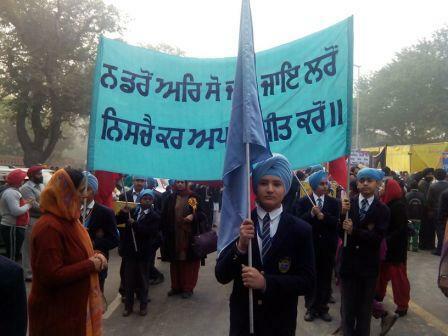 The students of our school joined in the formation of a human chain for Peace Prosperity and integrity of the country against the mishap at Peshawar wherein 140 students were brutally killed by the Talibanis on 18 December 2014. 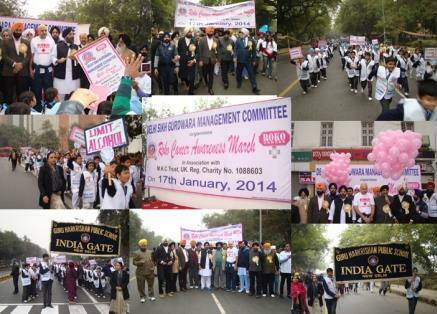 DSGMC organised Cancer Awareness March on Friday, 17 January 2014. 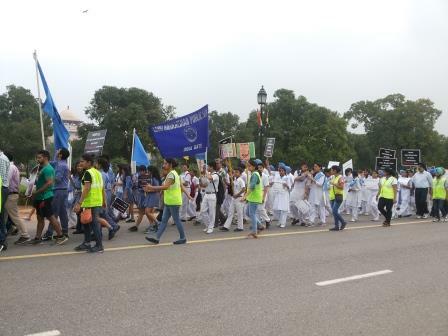 The students from classes VI to IX participated in the march. 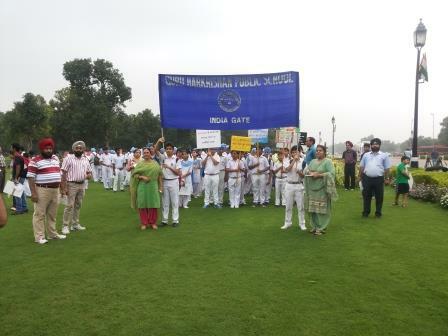 DSGMC President S. Manjit Singh (G.K) flagged off the march from Gurudwara Bangla Sahib. 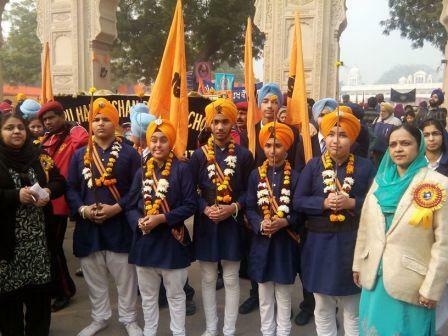 The procession went from Gurudwara Bangla Sahib to Gurudwara Rakab Ganj Sahib via Connaught place. 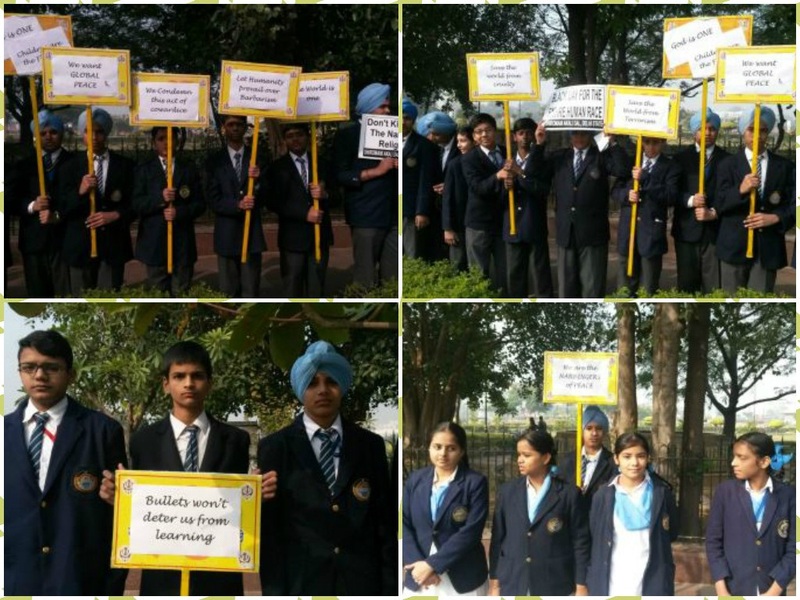 Students carried placards and distributed pamphlets on the way to create awareness about cancer. 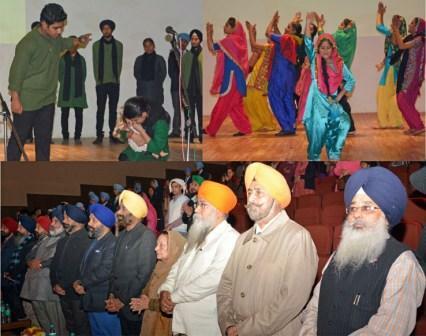 The students assembled in Lakhi Shah Wanjara Hall. 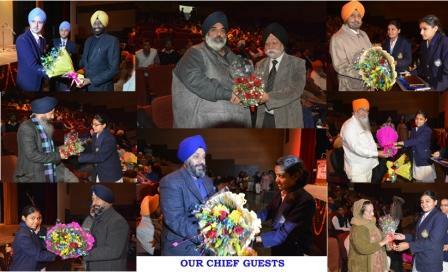 S.Kulwant Singh Dhariwal and Mr Chawla who have started the mission of eradicating cancer motivated the students with inspiring speeches DSGMC has joined hands with them to support this Noble cause. 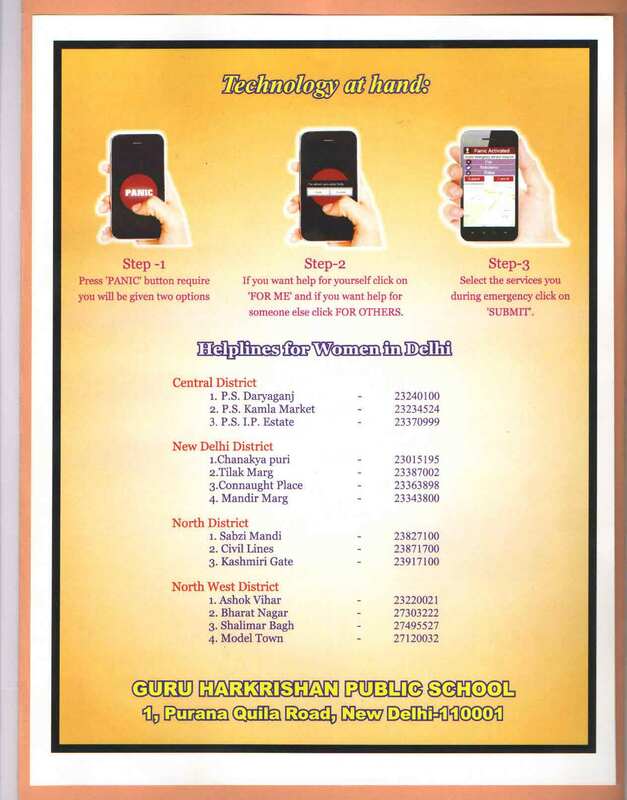 Guru Harkrishan Public School India Gate , holds the rare distinction of blending quality education based on our rich traditional value system. 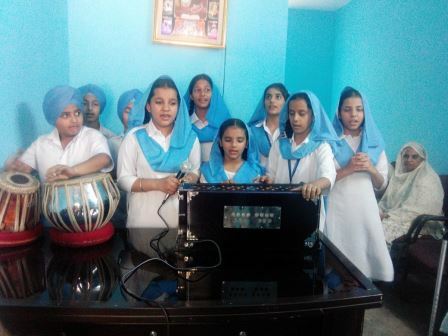 We strive to inculcate value based education in young minds to hone their survival skills and strive to reach the zenith of success by providing a steady platform to our students to launch their flight of dreams and ambitions. 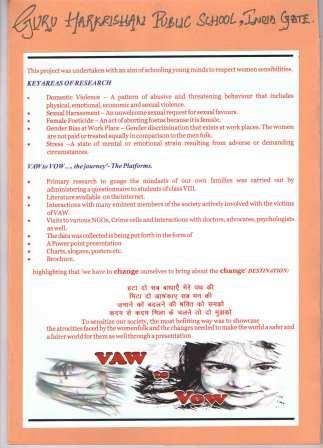 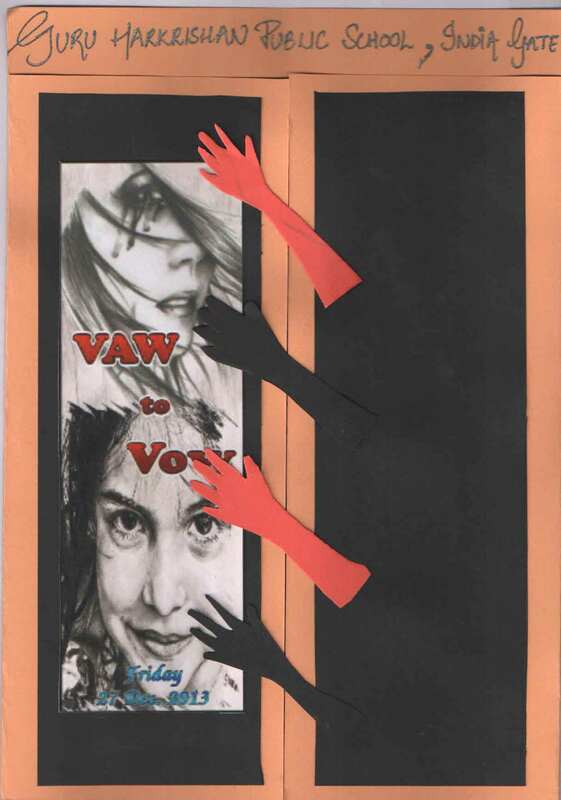 'VAW to Vow ....... the journey ' is one such programme which is the culmination of a two month long research project undertaken by the enthusiastic students of class XI as a part of their General Studies subject, based on violence against women (VAW).